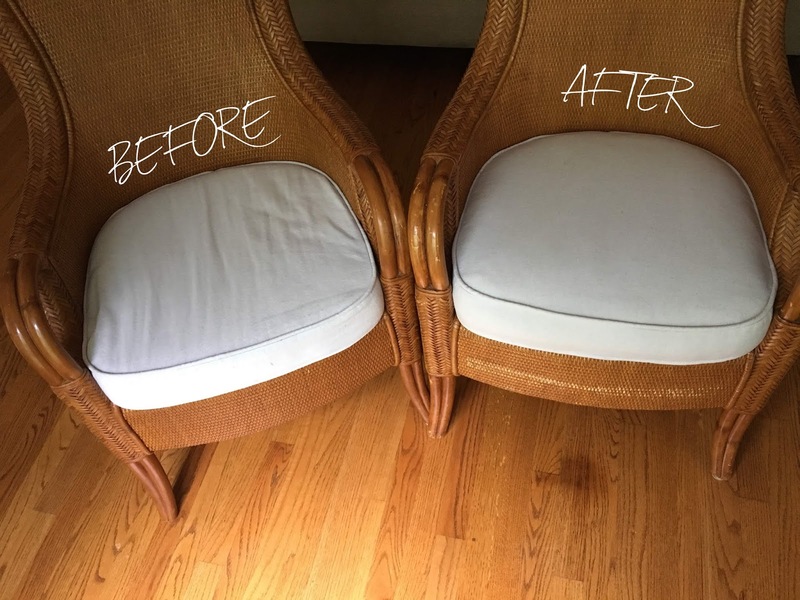 The Project Lady - Easy “Fix” to Plump Up your Chair Cushions! 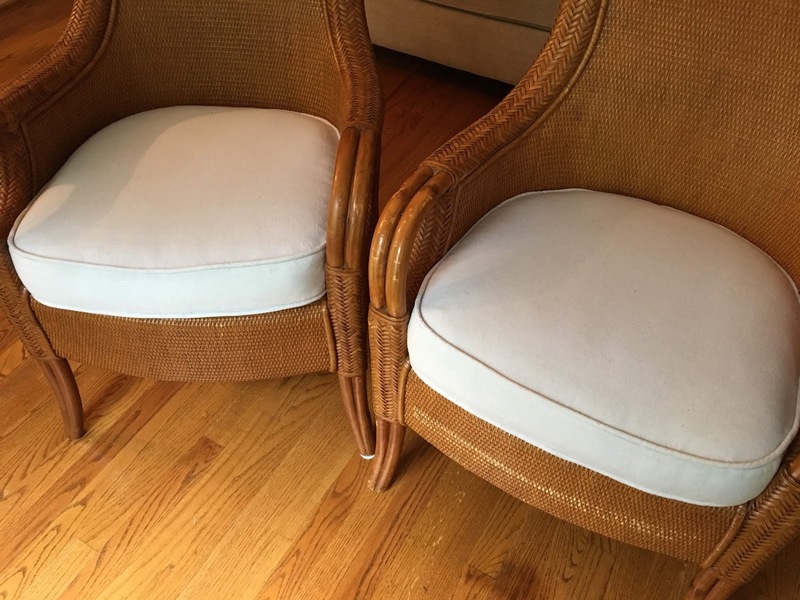 You may remember these chairs and cushions from a previous post where I made new covers. 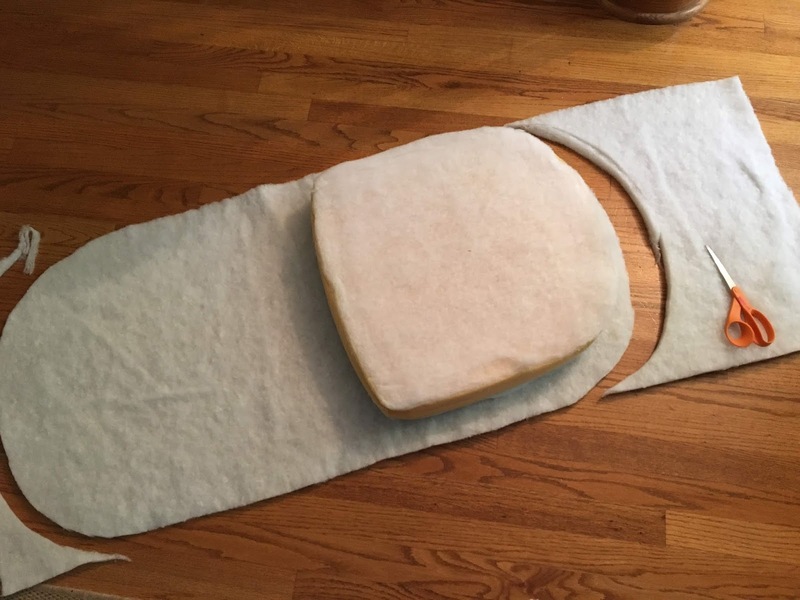 Although the covers were made to fit just right, I should have gone one step further by adding more upholstery batting to fill in the cover and give the edges a rounder look. You can see how big of a difference this step makes from the picture. 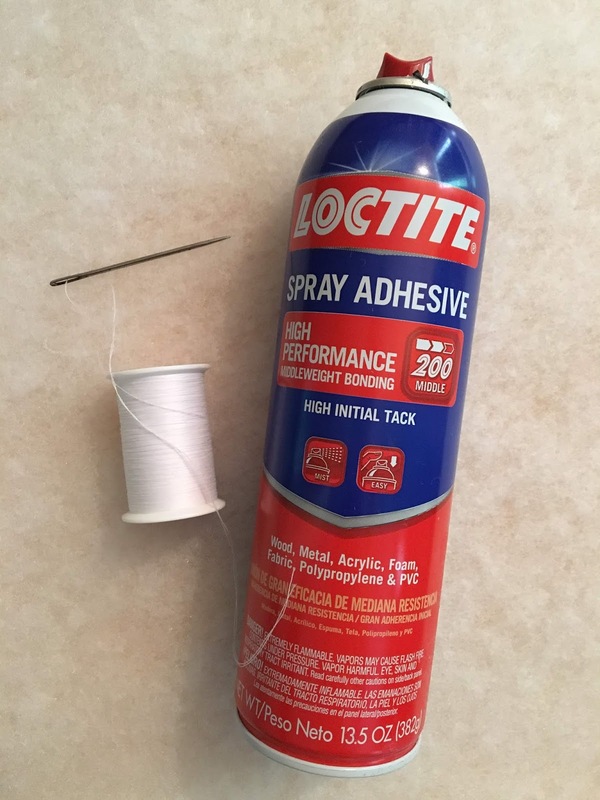 All you need is your batting ($1.75/yd at my local upholstery store), pray adhesive, upholstery thread and a large needle. 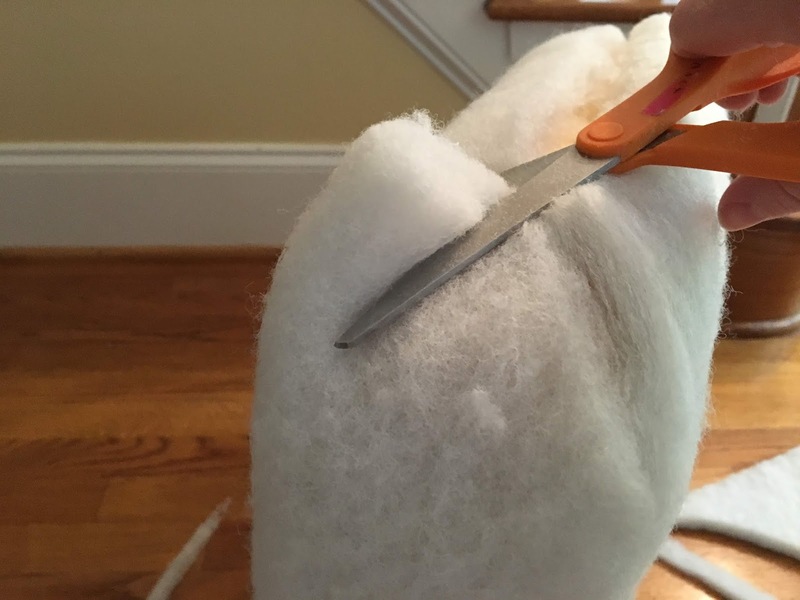 Lay your cushion over your batting and cut the batting large enough that when pulled up to the edges it will meet in the center. 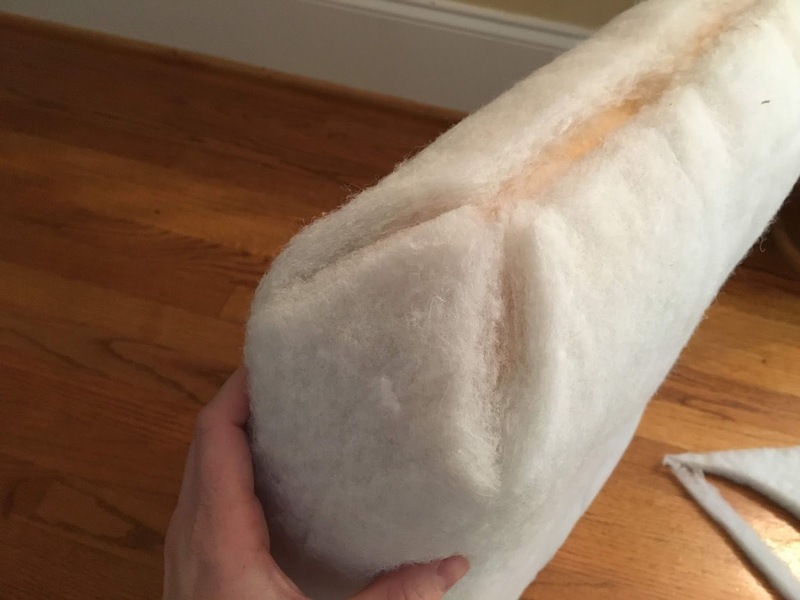 I took my cushion outside and sprayed all the sides and edges with the adhesive (wear a glove or you’ll have sticky batting on your fingers all day) and laid it over that batting and pressed the batting down on all the edges. 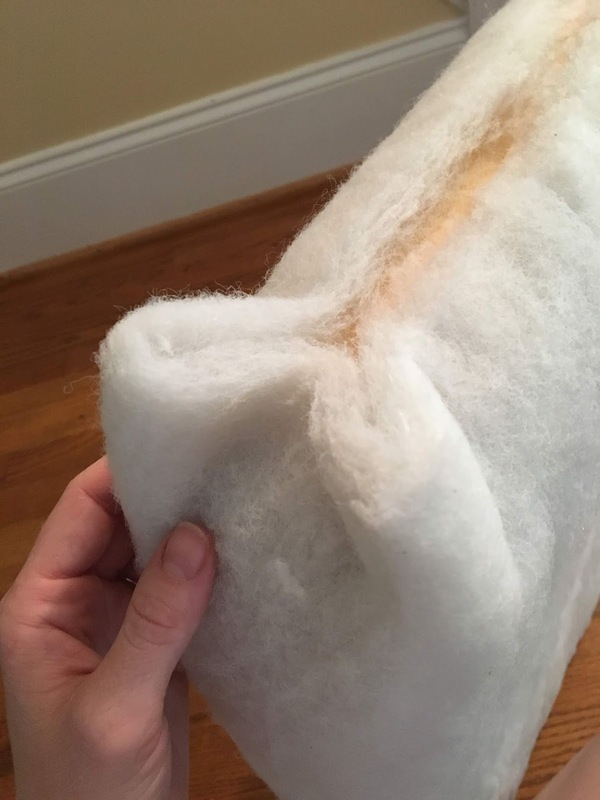 Trim any excess batting. … just cut off the excess wings! 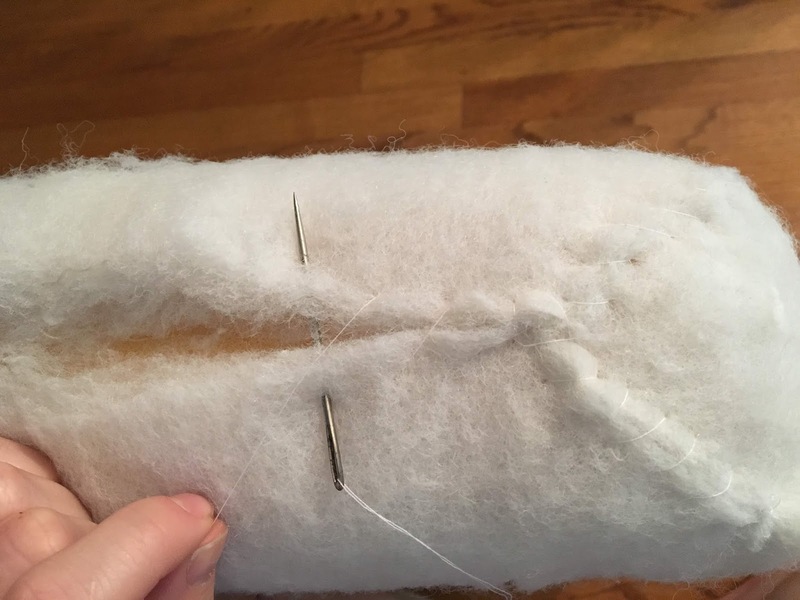 Sew the seams of the batting together and stuff your cushion back in! Wood Bench and Desk FINISHED!